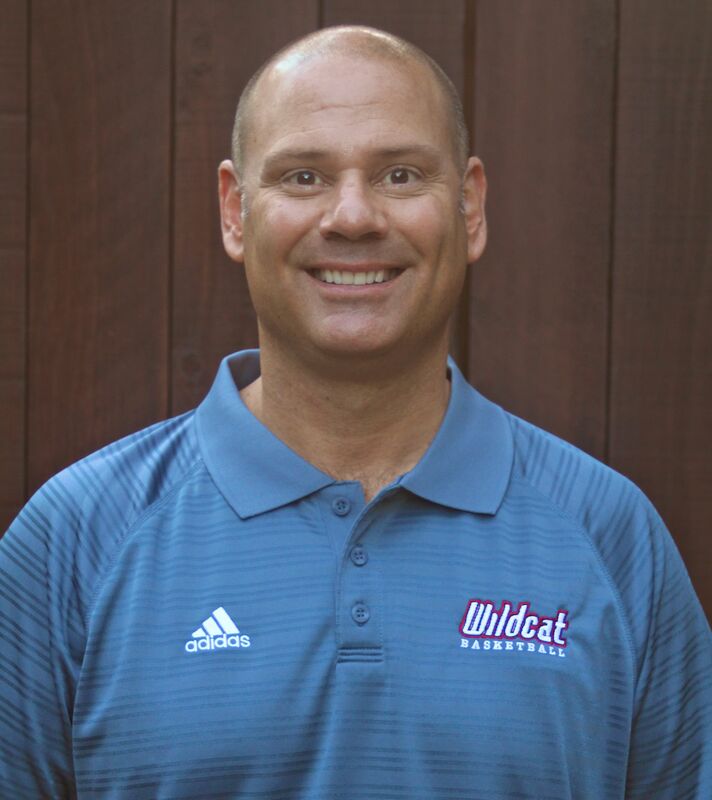 Steve Sousa joined the Wildcats coaching staff nine years ago, bringing over 23 years of coaching basketball at the middle and high school level. For the past ten years he has been involved with all levels of Wildcats, including the introduction of Junior Wildcats and Wildcats Development League. Coach Sousa was the Head Freshman, Head JV and then Assistant Varsity coach for Archbishop Mitty High School in San Jose from 1994-2000. After relocating to Davis in 2001 he assisted numerous local Junior High and High schools throughout Yolo County before settling on the Wildcats. Steve lives in Davis with his wife Patti and sons Sam and Nick. Fun Fact: Coach Steve is a gourmet cook! Pat Wallace was born and raised in Sacramento and has been coaching youth sports for the past 15 years. Pat was a 3-sport athlete (basketball, soccer and baseball) at McClatchy High School and was an All-City and Optimist All Star selection in each. He went on to play point guard at Sacramento State for 4 years and set the school records for assists and steals. He has two daughters and a son that he has coachd in all different sports. Fun Fact: As a 12 year-old, Pat traveled and played in the Little League World Series in Williamsort, PA.
Brett Cauchi has a passion for teaching leadership and life lessons through the game of basketball. Brett was a part of some of the first NorCal (then Davis) Wildcats teams as a player. Brett then played three years of college basketball (two at Solano College and one at Linfield College). He is now the assistant coach at Folsom Lake College for the women’s basketball team. Brett is a graduate of Chico State where he coached for three years for the Women's Basketball program from 2013-2016, including an NCAA Tournament second round appearance. Brett also works for Point Guard College (PGC) basketball camps along with substitute teaching, coaching at Dixon High School, and does skills training. Fun Fact: Brett is an avid music fan, attending over 30 concerts since the age of 12- including AC/DC, Green Day, The Who, Elton John, Blink-182, Genesis, Tom Petty, and more! Derek Pickus has coached youth sports (basketball, soccer and baseball) for nearly 10 years. Derek played basketball and volleyball in high school and was recruited to play volleyball for the UCLA Bruins until a back injury ended his competitive playing days. Derek graduated from UC Davis (transferred from UCLA) and lives in Davis with his wife and two sone. At 6'7", Derek is hard to miss in the gym! Fun fact: Derek is truly addicted to fishing - especially for Salmon, Trout and Steelhead. In his free time you'll often find him standing in the American or Feather River chasing whatever species in in season. If you like to fish, let him now - he loves to talk about all things fishing related! Marc Ross loves basketball and coaching. He played basketball at Rhodes College in Memphis, Tennessee and also has an MBA from UC Davis. Marc has been as assistant coach for Dixon high School basketball and has coached youth baseball and basketball the past few years. He works in commercial real estate and lives in Davis with his wife Syreeta and his sons, Cooper and Tyler. Fun Fact: Marc grew 6 inches the summer before his Sophomore year of high school!! Jake Rassam is a 3rd year Business Major at UC Davis. He played 3 years of varsity basketball in San Francisco, CA at Archbishop Riordan High School. His senior year, the team won their first section championship in over 8 years. Jake has been coaching grades K-3 for about 6 years, and loves to spread knowledge and love for the game in any capacity. He also played soccer and placed 3rd in high jump at the CCS championship. Fun Fact: Aaron Gordon of the Orlando Magic broke the rim with a windmill dunk at Jake’s school. Steve Smith is a former all-conference UCD Aggie basketball player who has been coaching varsity high school basketball in the Sacramento area since 1997. He started his coaching career in 1994 as the 5th grade coach at St. James school. 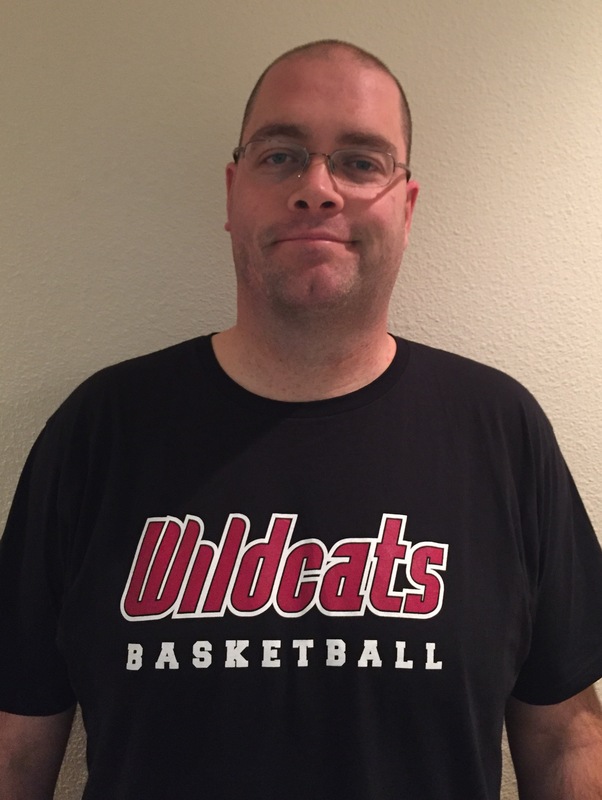 Coach Smith has been an elementary school teacher in the Natomas Unified School district since 1998 and has been the head varsity coach at both of Natomas' high schools. 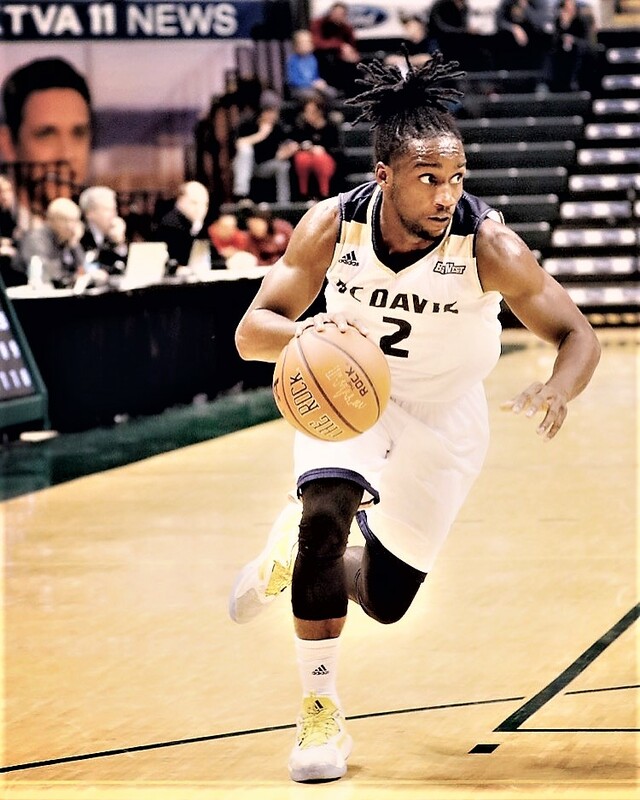 He is originally from Oakland, Califormia where he played high school basketball at Bishop O'Dowd and participated in two state championship games in three years on varsity. He has also worked with UCD basketball and trained athletes at the high school, college and professional levels. Fun Fact: Coach Smith considers himself a better cook than he was a basketball player. Arieas Toney loves basketball and has been playing since he was 3 years old. He grew up in Elk Grove, CA and went to Franklin High School where he played basketball and football. He went on to receive his Undergraduate Degree from Chico State. Arieas recently moved back to Elk Grove to become a substitue teacher while pursuing his Masters Degree. He has been coaching teams and instructing camps for seven years and he's very excited to develop our players both mentally and physically. Fun Fact: Arieas' dad has been a basketball coach in Sacramento for 20+ years! Paul Crawford has played lots of basketball (in the 20th century), mostly notably at Texas A&M University where he was a 4 year letterman and Academic All-American. While acknowledging his own personal hyper-competitive nature, Paul subscribes as a parent and coach to the idea of creating sports environments that serve the long-term interests of the kids: learning how to work and play hard, compete fairly, be a good teammate, and love the game. Paul's pet peeves include whining about the referees and narrowly judging success by wins and losses. Fun fact: Paul's head and the basketball rim have spectacularly collided on multiple occasions. Laura Mariani has a passion for all sports, especially basketball. Growing up in new York, Laura began playing basketball at an early age and continued through high school. She went to a large public high school and played on many competitive teams. She was a point guard and shooting guard and spent many summers traveling around the East Coast playing in AAU basketball tournaments. She is looking forward to being involved in our club and the opportunity to coach and mentor the girls in our Wildcats program. Laura lives in Winters, CA with her husband Matt and her three Wildcats, Miles, Mia and Ty. Dan Schneider was a high school history teacher and a men's basketball coach for ten years before changing careers and moving his family to Davis eight years ago. He believes passionately in the power of sport in building character and instilling life lessons. Dan was instrumental in developing the popular Wildcats Development League five years ago and it has been an enduring succes for the extended Davis community in teaching young players the joy and fundamentals of basketball. He is looking forward to coaching the girls program this year and taking it to new heights and successes. Dan lives in Davis with his wife Katie and their two children, Benjamin and Brooke. Carl Schlemmer has been a positive coaching fixture in the city for several years, volunteering as an AYSO coach and referee and also volunteering as a basketball coach for the City of Davis recreation department. Carl was one of our Wildcats Development League in 2018 and is looking forward to his first full time coaching experience with Wildcats. He is an avid athlete and enjoys playing competitive basketball, tennis and training for and participating in Tough Mudder events. Carl is originally from Burlington, Vermont and now lives in Davis with his wife Erin and their two daughters, Allison and Julia. Darius Graham prides himself in providing elite level skill set and knowledge while most importantly instilling confidence in kids both on the court and in life. He graduated from UC Davis with the following D-I era career rankings: No. 2 in assists (418), No. 6 in free throws made (200), No. 7 in threepoint field goals made (125), No. 9 in points (923) and No. 10 in field goals made (299). Graham is the third player in the program's all-time history to collect 400 or more assists. J.T. 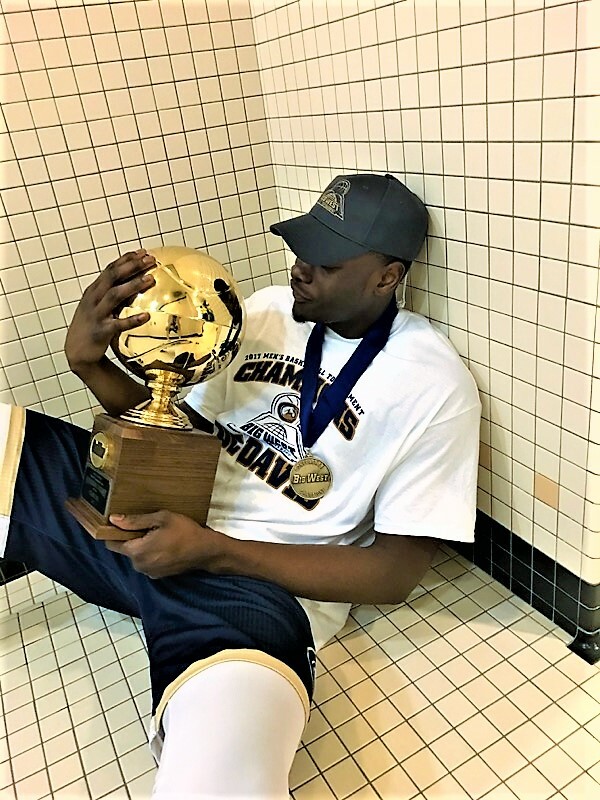 Adenrele graduated UC Davis with the top career blocked shot total (111) and offensive rebounds total (204) in the porgram's Division 1 history. J.T. tailors his training around post game/footwork, toughness and attitude. The game of basketball requires every player to use these skills but for bigger, taller players, these skills are key to their success.